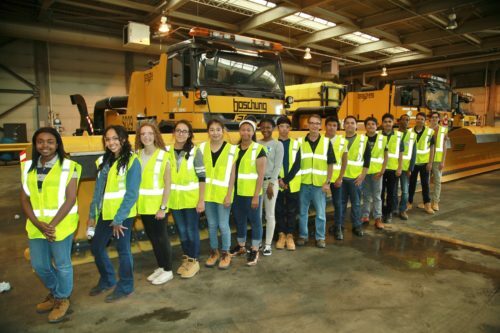 Construction Interns from Chicago Public Schools and Westinghouse College Prep High School visited the Chicago Department of Aviation (CDA) on June 27th 2017 to learn about airport construction operations at O’Hare and Midway International Airports. The day began with a summary of work at both airports, including an overview of the O’Hare Modernization Program, the day to day operations, and key “fun facts” for the students about airport operations. The students were then escorted to the airfield, where they visited the Aircraft Rescue Firefighting training simulator, and learned about the facility and how airport rescue teams are trained. 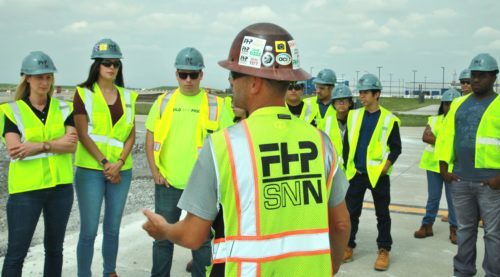 The students then visited an active jobsite on an in-operation airfield at the Runway 9C -28C project. From there they visited the Airport Maintenance Complex to see how the fleet of snow removal equipment is utilized to keep runways and taxiways open during the winter months. 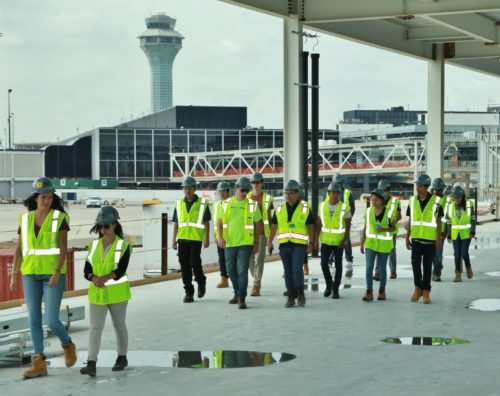 Finally, the students toured the American Airlines Stinger construction site to learn how the building is being completed next to a fully operational concourse. We thank the Chicago Department of Aviation for giving these students the opportunity to see the airport from a different perspective and to observe the various operations of an active airfield.